Below you fill find all funeral homes and cemeteries in or near Cold Spring. 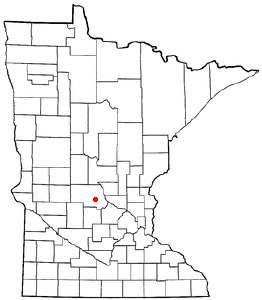 Cold Spring is also known as: Stearns County / Cold Spring city. Zip codes in the city: 56320. Some of the notable people born here have been: Eric Decker (american football player and athlete). It was disclosed by Orange County Register on June 10th, 2018 that Jan Zylla (Kammermeier) passed on in Brea, California. Ms. Zylla was 83 years old and was born in Cold Spring, MN. Send flowers to express your sorrow and honor Jan's life. It was revealed by West Central Tribune on October 12th, 2015 that Solvaye J Bliven passed on in Cold Spring, Minnesota. Bliven was 88 years old. Send flowers to express your sorrow and honor Solvaye J's life. It was written by West Central Tribune on January 27th, 2015 that Ingrid Rosena Skindelien (Benson) passed on in Cold Spring, Minnesota. Ms. Skindelien was 85 years old and was born in Wabeno, WI. Send flowers to share your condolences and honor Ingrid Rosena's life. It was written on October 15th, 2013 that Ella Katherine Milton perished in Edmonton. Milton was 83 years old and was born in Cold Spring, MN. Send flowers to share your condolences and honor Ella Katherine's life. It was disclosed by Minneapolis Star Tribune on September 28th, 2013 that Mary Helen Stauber (Pederson) died in Cold Spring, Minnesota. Ms. Stauber was 75 years old. Send flowers to express your sorrow and honor Mary Helen's life. It was disclosed by San Mateo County Times on November 10th, 2012 that Lee A Zylla (Kammeier) passed on in Burlingame, California. Send flowers to share your condolences and honor Lee A's life. It was revealed by Mesabi Daily on September 28th, 2012 that Angela R Meados (Marolt) died in Cold Spring, Minnesota. Ms. Meados was 87 years old. Send flowers to express your sympathy and honor Angela R's life. It was disclosed by Minneapolis Star Tribune on January 25th, 2012 that Bernard F Johnson died in Cold Spring, Minnesota. Johnson was 88 years old. Send flowers to share your condolences and honor Bernard F's life. It was disclosed on December 31st, 2011 that Jean Grawe passed on in Cold Spring, Minnesota. Grawe was 91 years old and was born in Lisbon, ND. Send flowers to express your sympathy and honor Jean's life. It was disclosed on December 30th, 2011 that Jean Grawe passed on in Cold Spring, Minnesota. Grawe was 91 years old and was born in Lisbon, ND. Send flowers to share your condolences and honor Jean's life. Cold Spring is a city in Stearns County, Minnesota County, Minnesota, United States. Cloud metropolitan area Statistical Area. Cloud, Minnesota Cloud St. It is part of the St. The population was 2,975 at the 2000 census. The official website for the city of Cold Spring is http://www.coldspring.govoffice.com/. Esther is also survived by 16 grandchildren, 34 great grandchildren, 16 great great grandchildren, her sister Connie (Don) Kellner of Cold Spring, MN, and one sister ... Osterberg-Hansen Funeral Home of Heron Lake is helping the family with arrangements. Listing all funeral homes in Cold Spring, Minnesota so you can easily send flowers to any location (same day delivery) or find any funeral service. Find a Funeral Home inCold Spring, Minnesota MN to provide the caring burial and ceremonial services your family deserves. Wenner, Jim - Wenner Funeral Home, Cold Spring, MN : Reviews and maps - Yahoo! Local, 320.685.7762. Get Ratings, Reviews, Photos and more on Yahoo! Local. We work with local florists and flower shops to offer same day delivery. You will find budget sympathy flowers in Cold Spring here. Our funeral flowers are cheap in price but not in value.